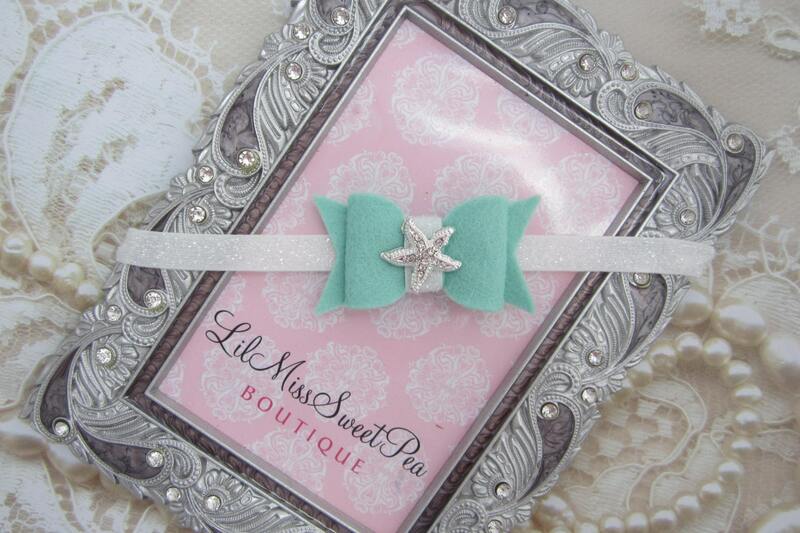 Felt with Starfish Center Bow Headband in Mint and White for all ages, frosted elastic, perfect for photoshoots by Lil Miss Sweet Pea. Bow measures 2.5 x 1.5 inches. Choose the size headband on the drop down menu. 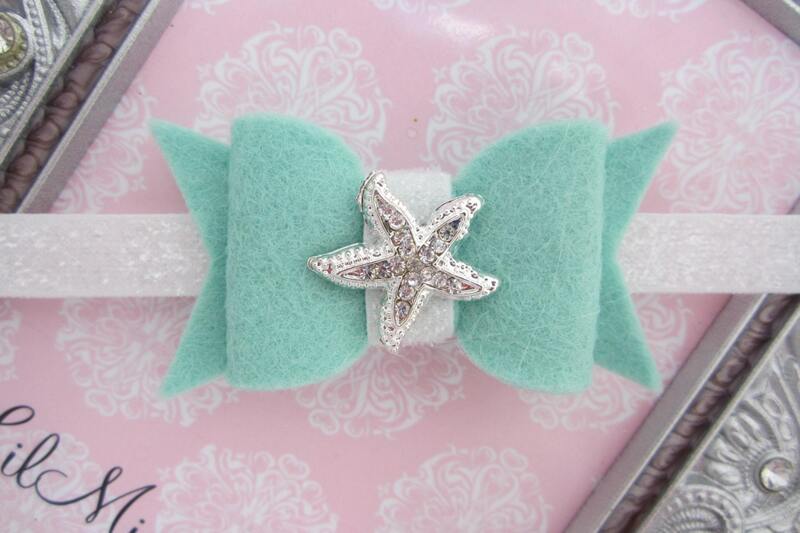 We have other listings for felt bows in our headbands/clips section. 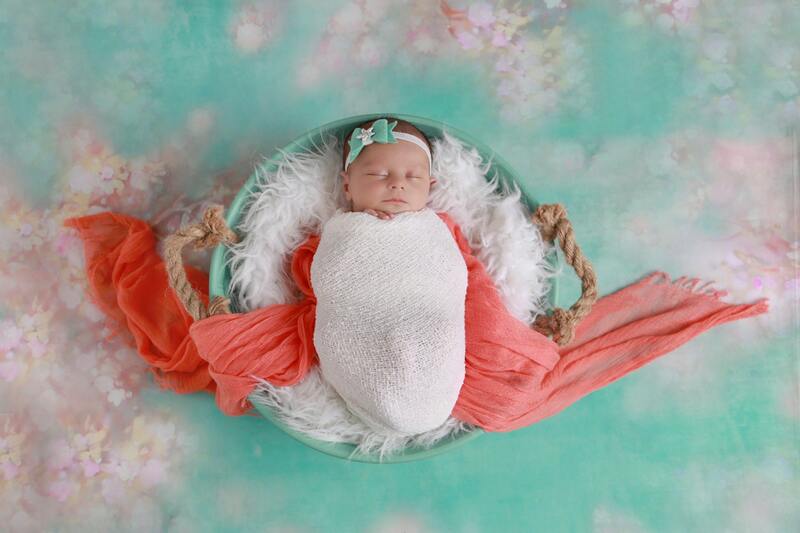 I can't wait for newborn pictures! 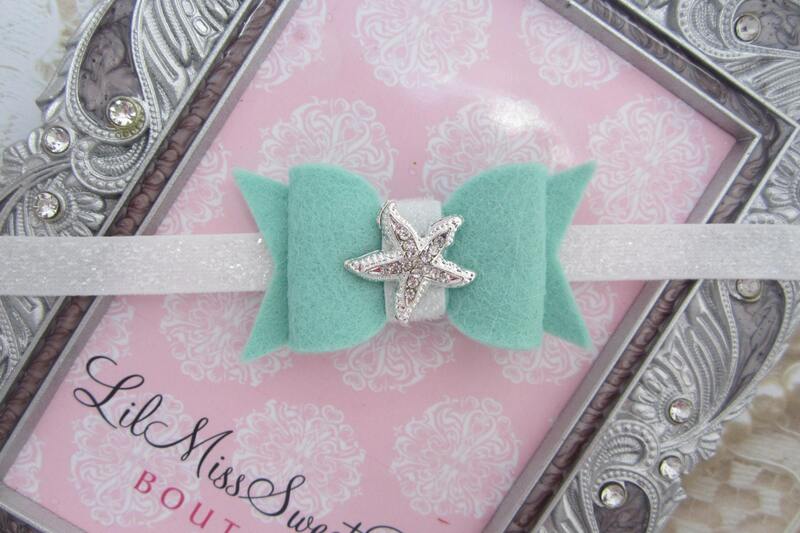 She will look so cute with her head band!